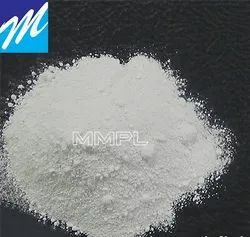 Description:-The main use of titanium Dioxide (TiO2) is as a white powder pigment because of its brightness and very high refractive index. It’s give very good opacity and resistance to discolouration under ultraviolet (UV) light in exposed applications. Its UV light resistance properties helps prevent the discolouration of plastics in sunlight. Rutile is preferably used in outdoor application because of its high refractive index. Anatase is not advisable to use it outdoors application because of its low UV light resistance properties in sunlight compare to rutile. Application:-PVC pipes -fitting, electric wire and cable, uPVC pipes-fittings, PVC clothing, PVC furniture, PVC flooring, PVC door-window, PVC footwear, PVC rigid sheet, PVC flexible film, PVC celuka foam board/sheet, PVC WPC sheet, PVC WPC profiles/chokhat, PVC free foam sheet, advertising flex banner, PVC suction-garden tube, PVC rigid/flexible profiles, artificial lather, automotive products and many other PVC application. Looking for Titanium Dioxide TiO2 ?